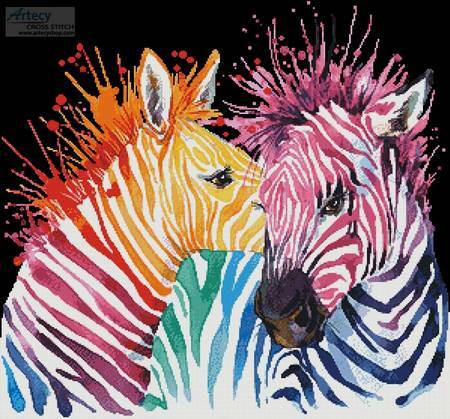 Colouful Zebras (Black Background) cross stitch pattern... This counted cross stitch pattern of Colourful Zebras was created from Artwork copyright of Lena Faenkova. Suitable to be stitched on black fabric. Only full cross stitches.